Andres Roots Roundabout: Tartu Bluusikuu! 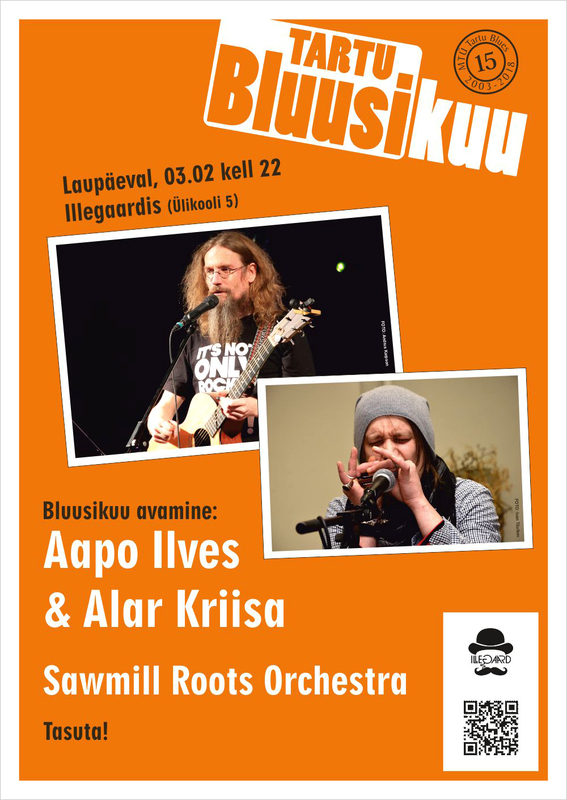 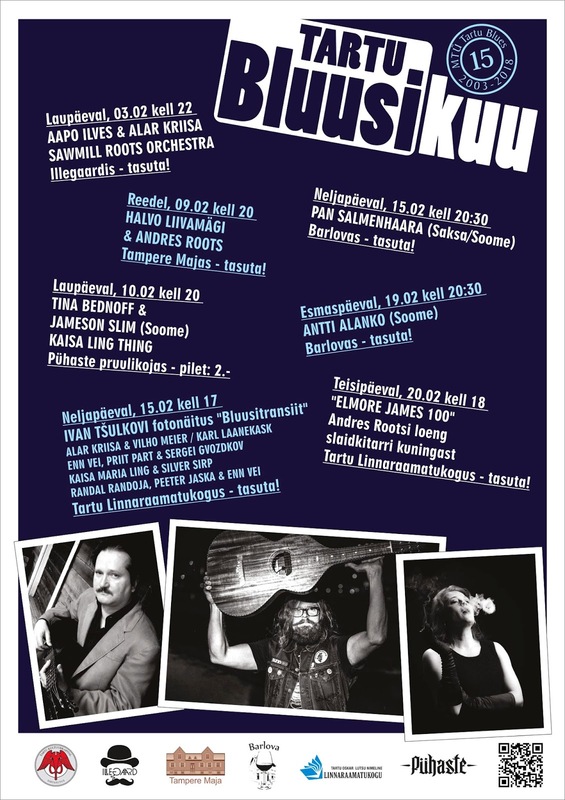 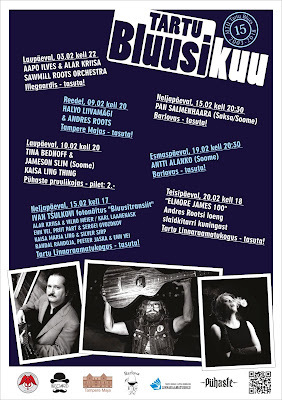 The fourth annual Tartu Bluusikuu festival will kick off this Saturday, February 3rd at Illegaard with the Sawmill Roots Orchestra, Aapo Ilves & Alar Kriisa. 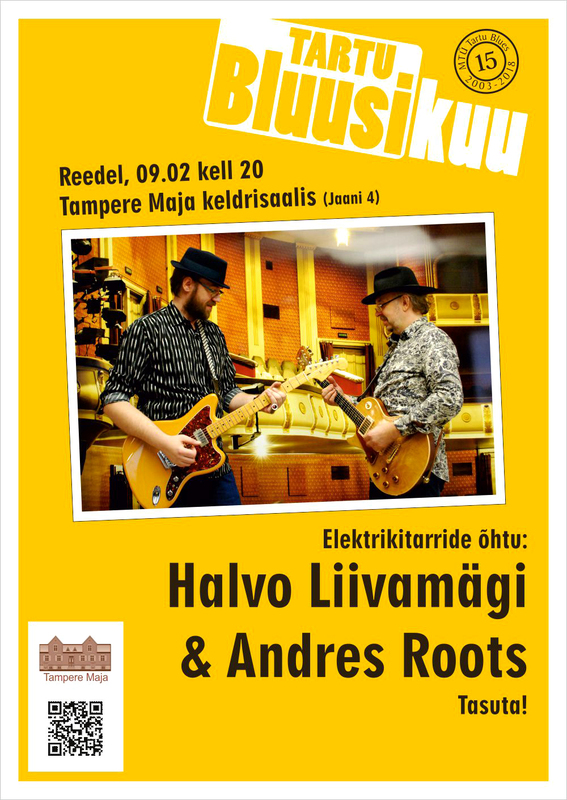 Next week, CryBaby leader, luthier and Jimi Hendrix enthusiast Halvo Liivamägi will team up with Andres Roots for a one-time-only guitar show at Tampere Maja on February 9th. 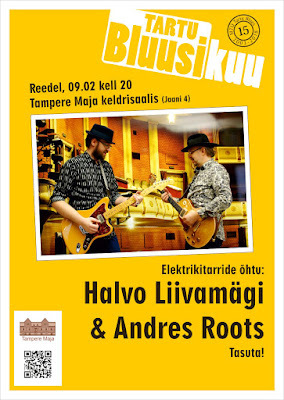 Both concerts are free.